Athlete CRUSH - App revolutionizing how fans and athletes connect! Revolutionizing how fans and athletes connect. Athlete CRUSH is a sport-specific app that connects athletes and fans. 🦄 Build a unique and powerful personal brand. 🔍🌎 Get exposed to new fans from around the globe. 🤝 Highlight the causes, charities, and communities that you care about. 📍💰 Monetize your brand through pinning your sponsors and favorite brands. 🔜💰 On the horizon: Create and sell your personal merchandize through our fully automated store. You upload pictures, we do the work and send you money 💵. 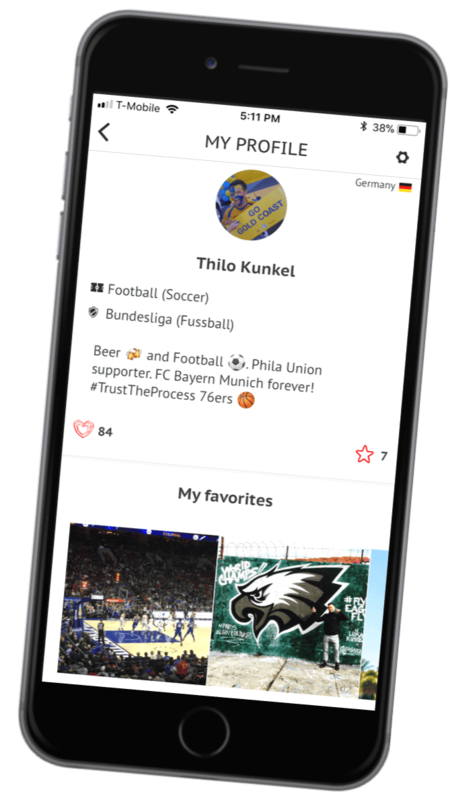 👉👀 Swipe through fresh content to discover new athletes and fans from around the world. 🔗 Connect with your favorite athletes and other sport fans minus the generic non-sport clutter of other social platforms. 🔝 Build a unique fan profile to compete with your friends and other fans. 🤝 Become a part of a global community that uses sport to support causes, charities, and communities. 🏆 Win great prizes, have fun, and get your sport fix. We will notify you when we launch. We promise - no spam.